adidas Originals teases the upcoming return of Kareem Abdul Jabbar's classic signature shoe. Along with the iconic Top Ten, it appears adidas Originals is set to bring back another classic hoops shoe, the Kareem Abdul Jabbar signature sneaker. Dubbed the Hook Shot in recent years, Kareem himself is apparently signed back on with the three Stripes to bring back his signature kicks. 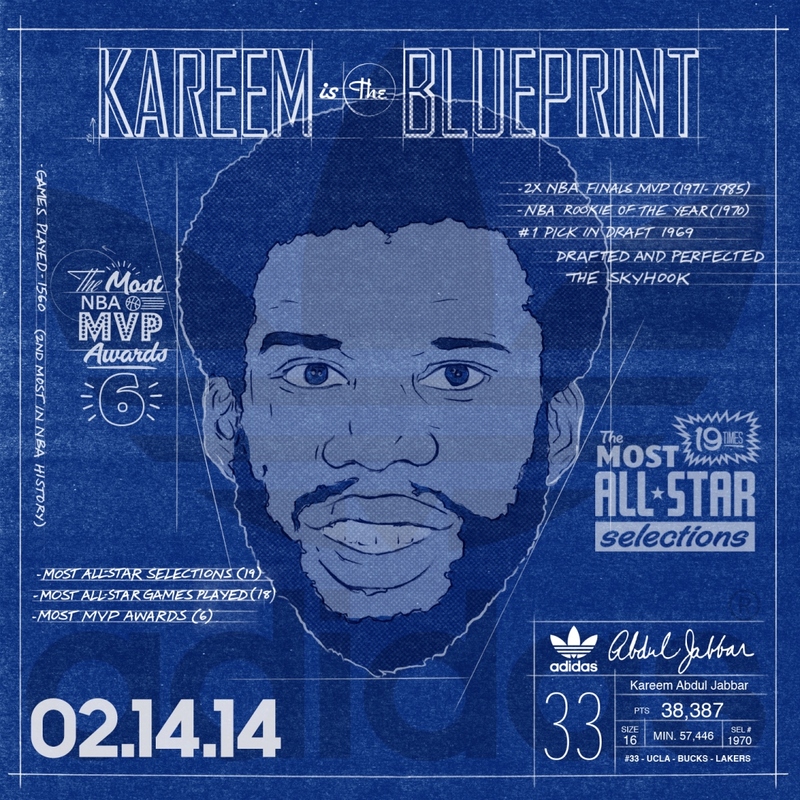 Stay tuned to Sole Collector for more information on the Kareem as it becomes available.